You have a lot of ideas and the drive to make them happen. But you can only dive so deep into a discipline before that little voice starts warning about diminishing returns. This article will help you calm that voice in a big area: design. The first and most important principle in cheating at web design is to borrow. I’m not suggesting plagiarism or theft; I’m suggesting you borrow concepts from others and reshape them to meet your needs. Everyone does it. With that in mind, here’s a list of 11 excellent tools and resources for cheating at web design. Need WordPress and WooCommerce Hosting? Our 100% favorite host is Lightning Base. Blazing fast, great support, excellent price. When you start creating a web page you might be tempted to dive into image research which leads to sizing and cropping and sizing and cropping. It’s normal to want the visual elements first, but it’s a time consuming process and you’ll revise over and over. Rather than worrying about images right away, use an image placeholder service so you can concentrate on the layout. 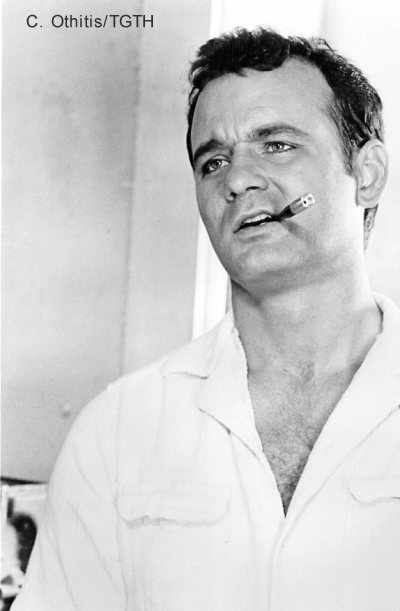 I used fillmurray.com to create this article because you can’t not like Bill Murray. Feeling drab? Try fpoimg.com instead. Undoubtedly you know a handful of websites you wouldn’t mind stealing. Here’s a color palette generator that will help you borrow their colors. Simply enter a URL to generate a color palette and typographic guide. How cool is that? Coolors is a fantastic color palette generator that’s simple and powerful. Generate a new palette by hitting your space bar. If you already have a base color in mind, enter it in the first column after clicking the hex number. Click “Lock”. Now hit the space bar again to get compatible colors. If you see another color you like, lock it in and repeat the process. Once you’re satisfied, save the palette and get a custom URL. Awesome. Have you spent hours trying to find a good font pairing? Or worse, assumed it didn’t matter? Typography is a huge part of visual design and an equally large time drain. Fortunately, the Google Fonts Typography project gives you numerous pairings of free Google Fonts. This resource will save you a lot of time and make your page look great. Chances are you’ll need images to match your color palette. Here’s a site that demonstrates why the Internet is awesome. Select your desired color and watch the magic happen. You can specify multiple colors and the color dominance. Want free stock photos? Like, nice ones? Done. Stock Up aggregates some of the best free stock photo websites you’ll find. Before you drop money on images from Shutterstock, be sure to look through Stock Up. Do you like the vintage look? Project Gutenberg is a really cool resource for rare images. The website scans free eBooks and looks for vintage-style images before converting them to vector graphics (SVG) and making them available for download. This tool is a bit of an outlier, but it’s too cool to pass up. InfoActive helps you create those awesome infographics you see online and in print. The service is surprisingly easy to use and creates embeddable and downloadable charts with a free account. Need inspiration? Who doesn’t. Awwwards (see what they did there?) is a social-driven design showcase. It’s full of great stuff, so don’t get too sidetracked because you probably have work to do. If you don’t already know about dribbble, bookmark it. It’s a great resource for inspiration. However, the designs aren’t always legal to use. Enter freebbble. It scans the great stuff on dribbble and shows you the content that’s free (be sure to check the specifics on each design). This suggestion is so last year, but you can find numerous people to help with design (or anything else) on Fivrr. You often get what you pay for, but I’ve found some great buys and I continue to use it regularly.